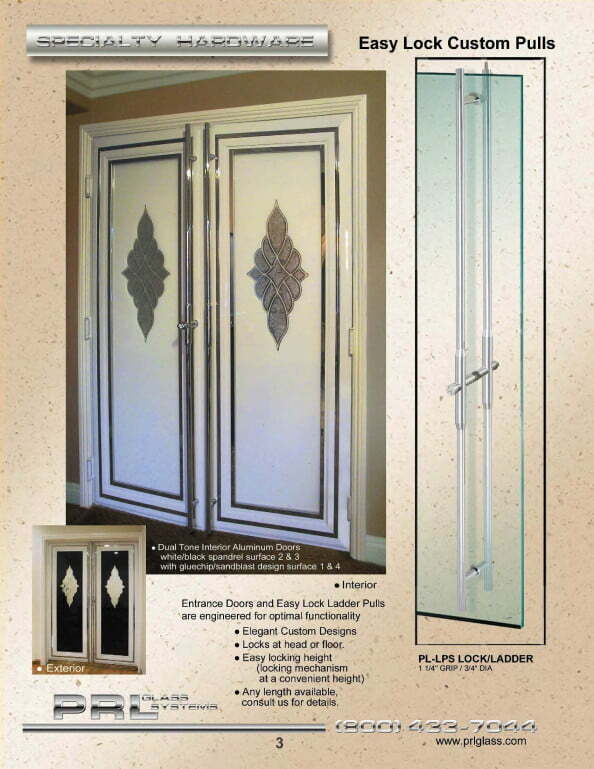 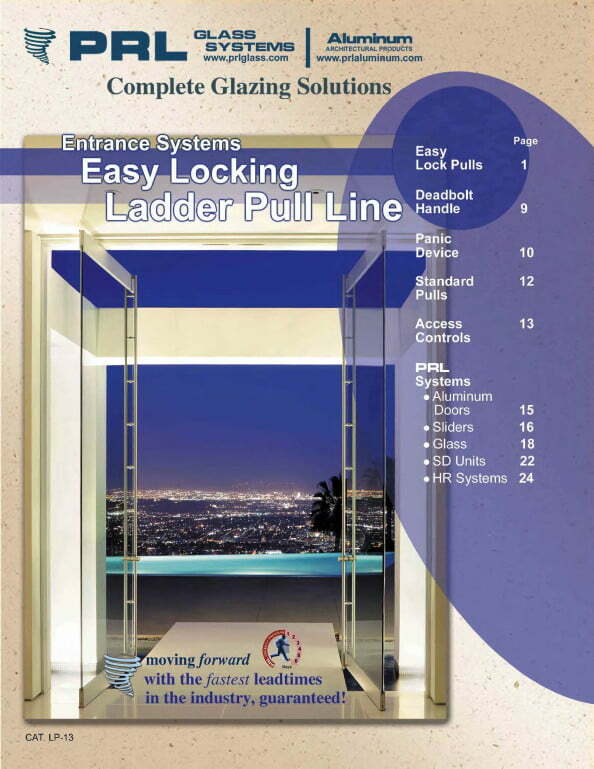 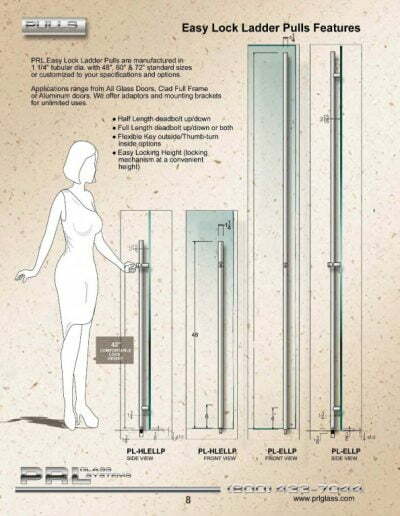 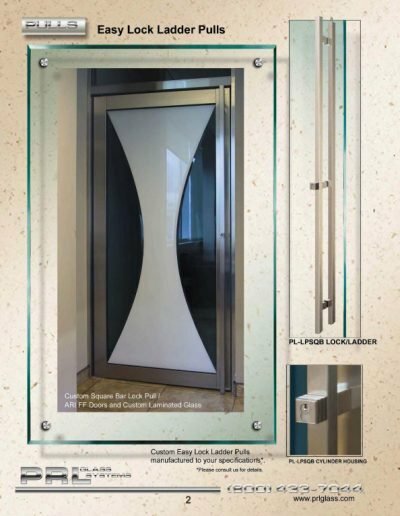 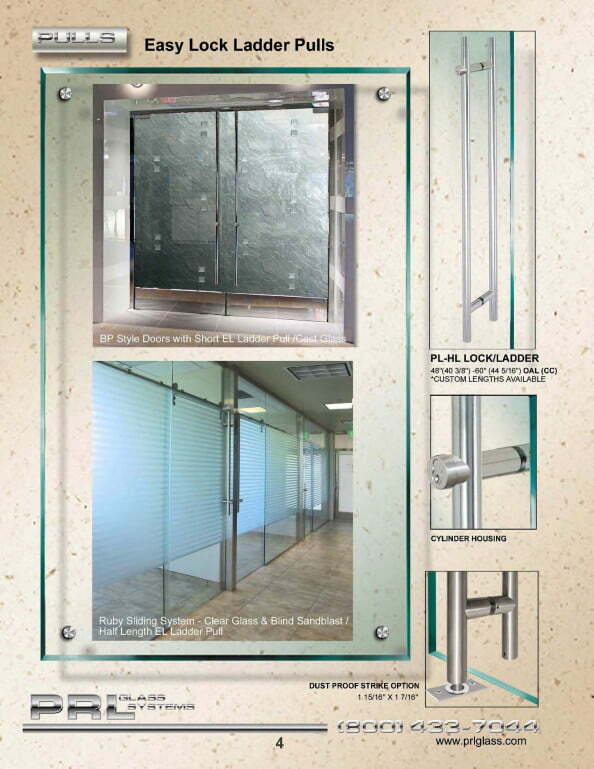 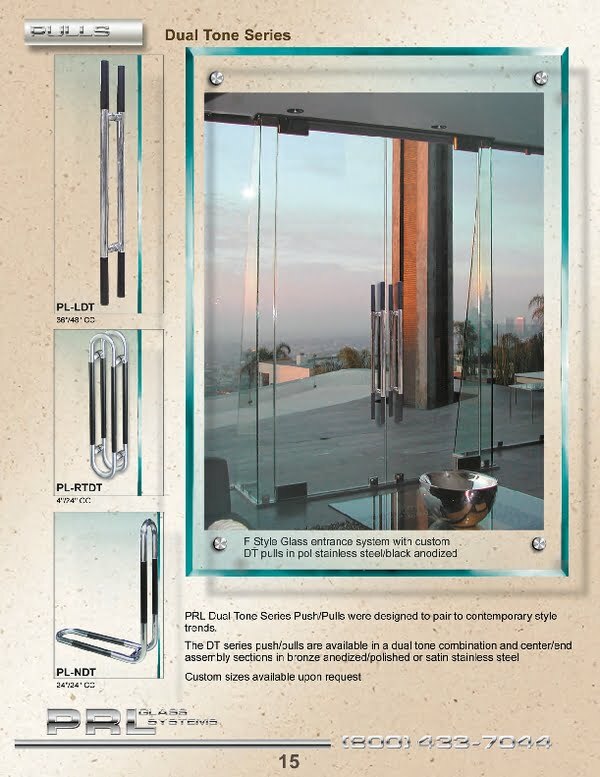 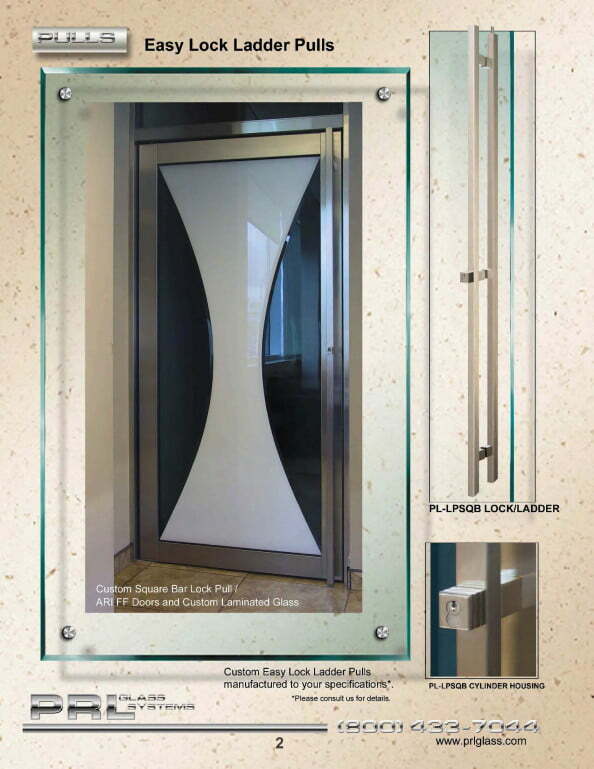 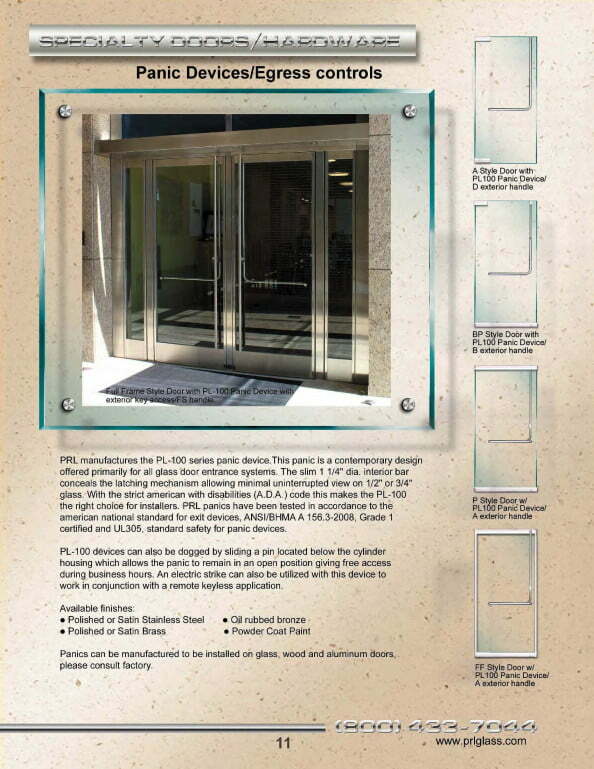 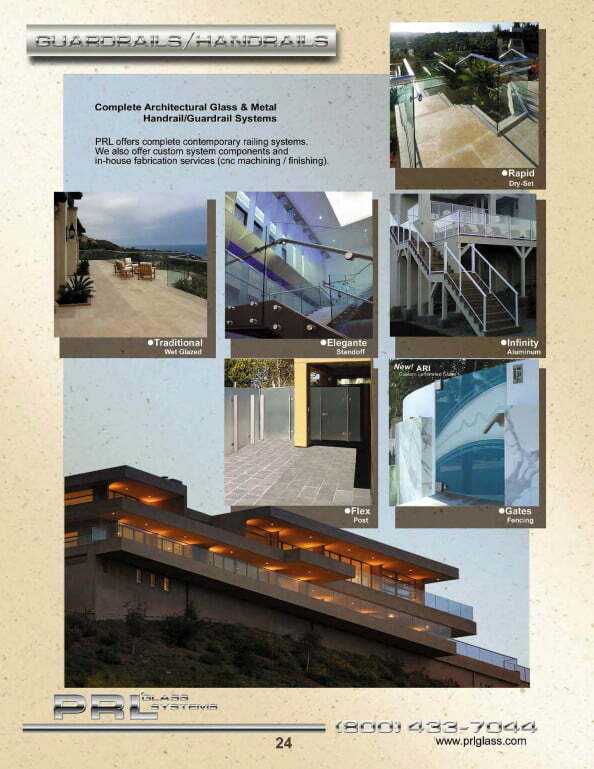 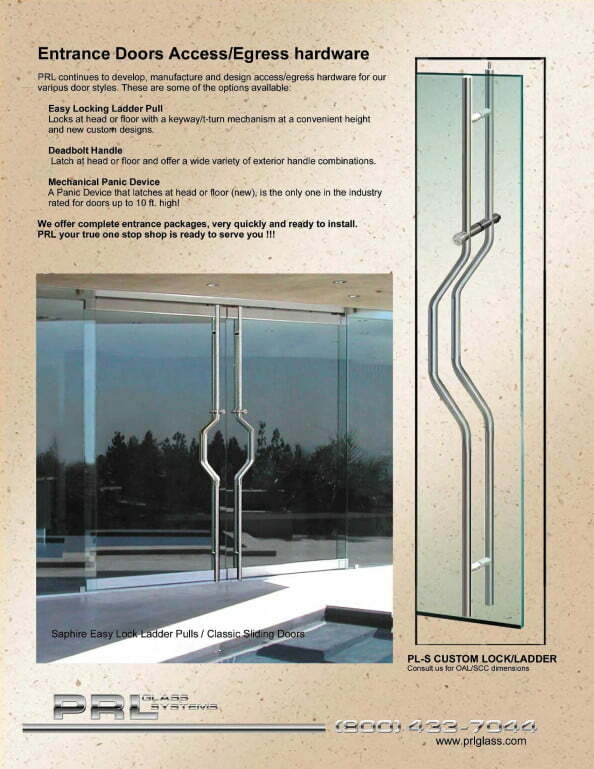 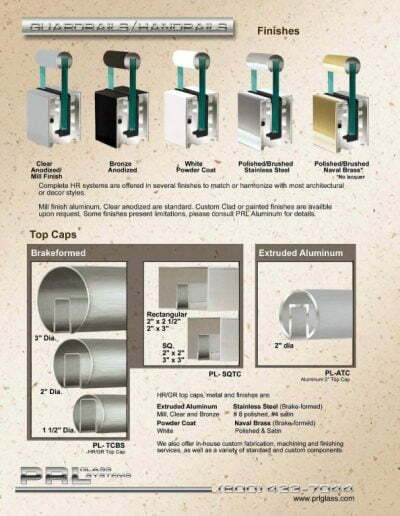 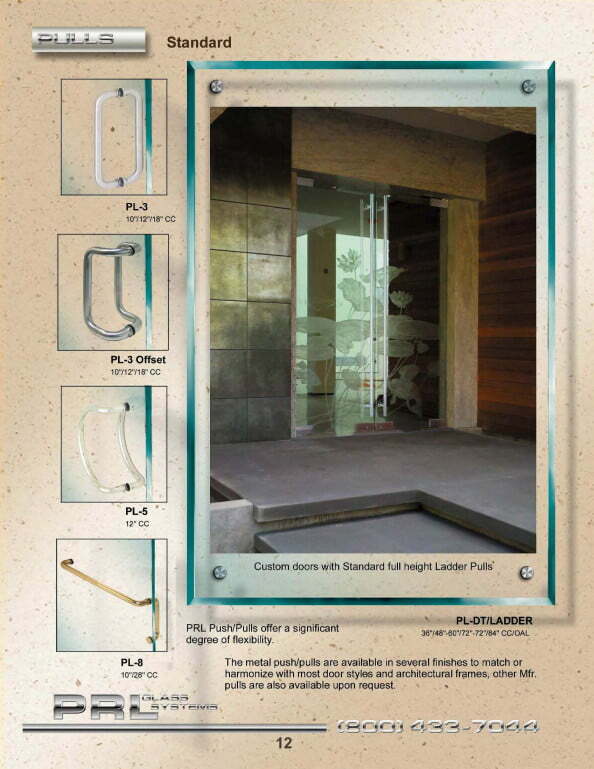 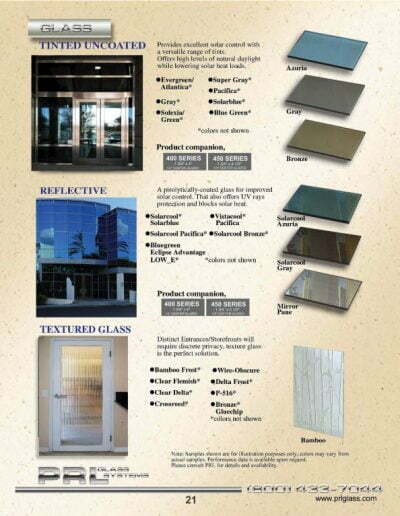 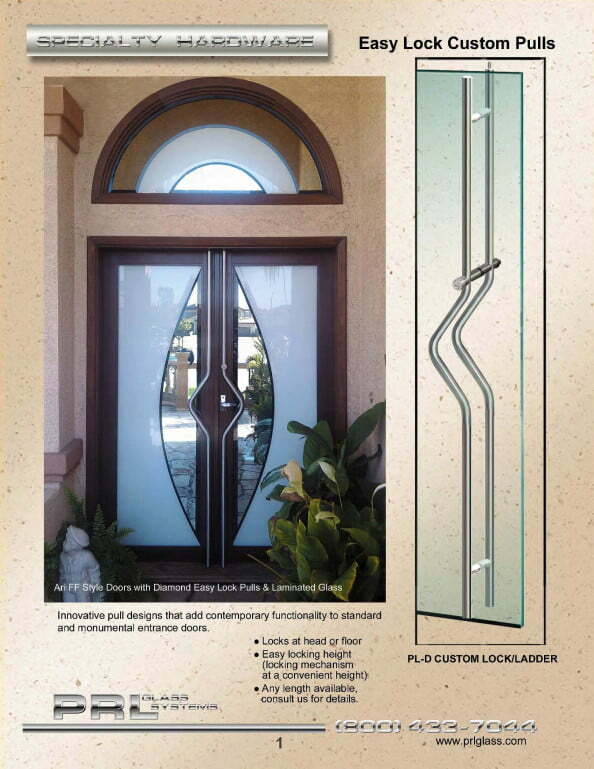 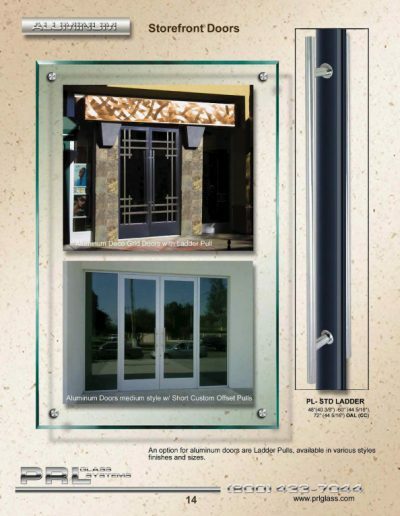 PRL Glass Dual Tone Series Pull Handles are available in many different finishes and metal types. 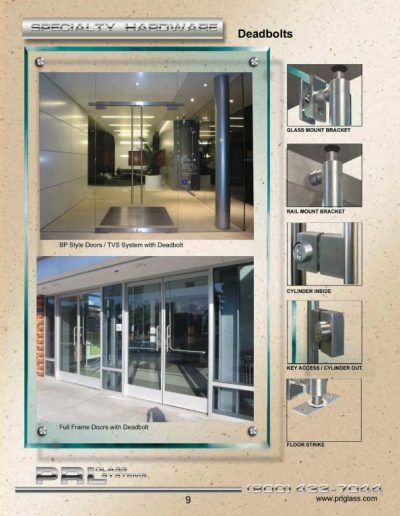 One of the most common commercial door pull handle combinations is the polished stainless steel combined with brushed stainless steel. 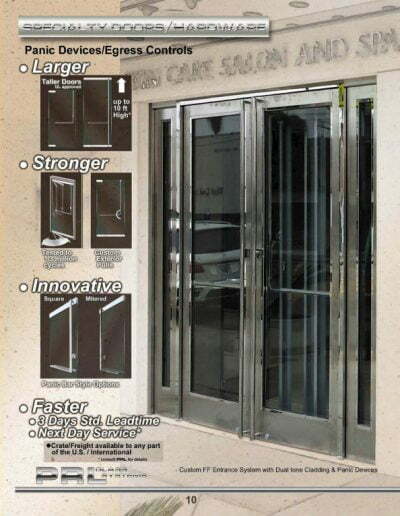 The bronze anodized combined with the stainless steel also offers a very popular and elegant commercial door handle appearance. 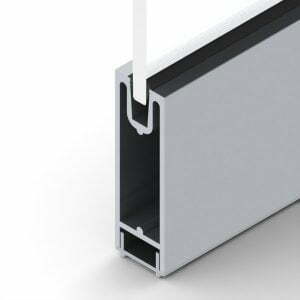 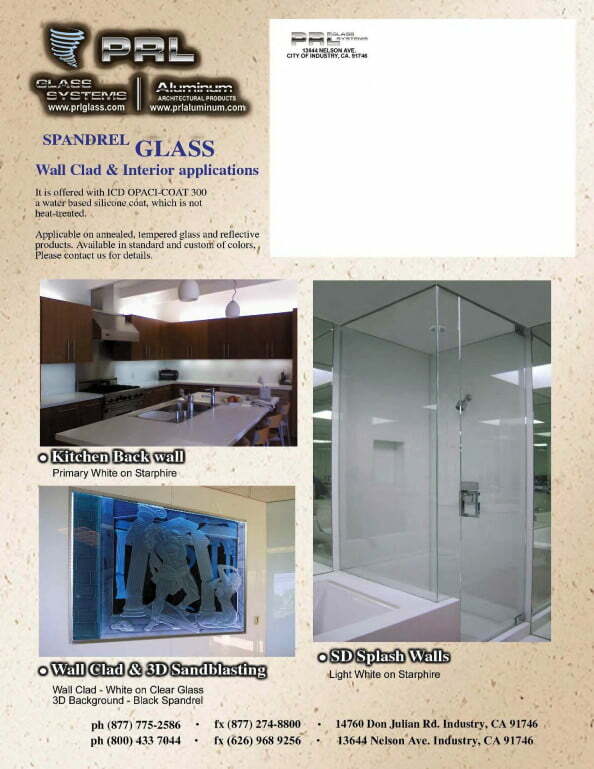 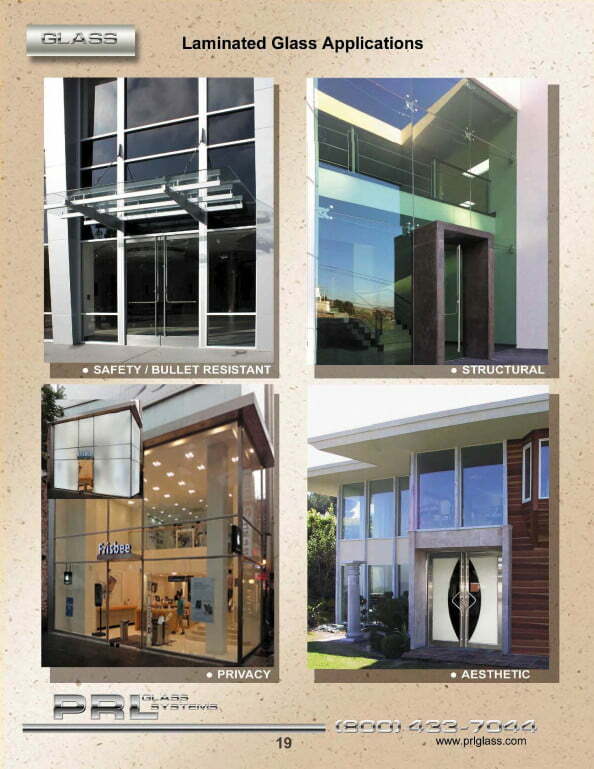 All our handles can be supplied with our glass entrances or clad door systems. 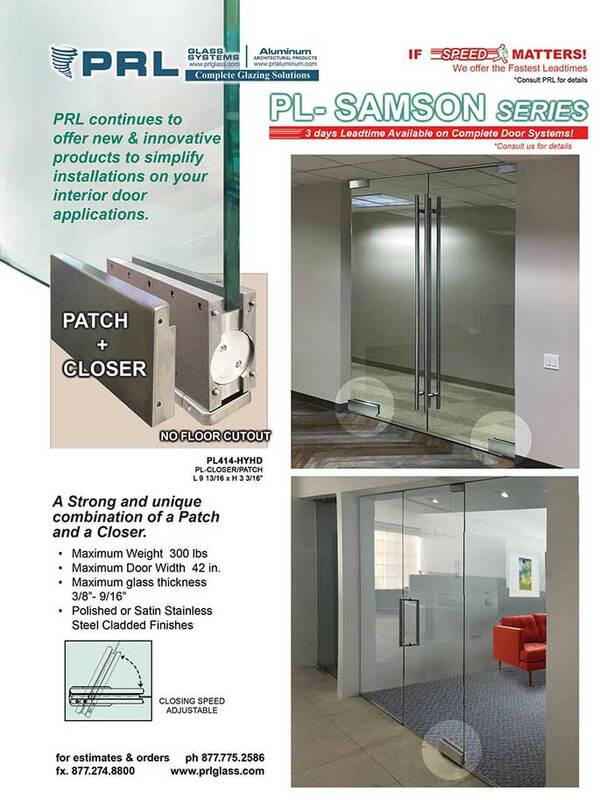 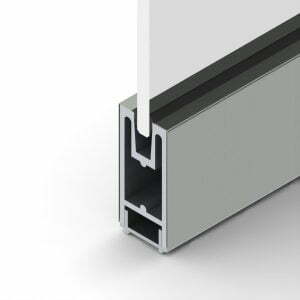 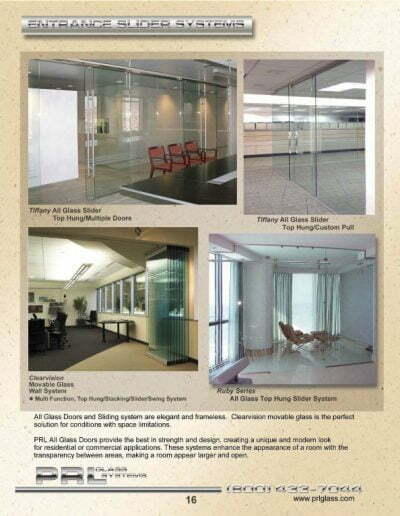 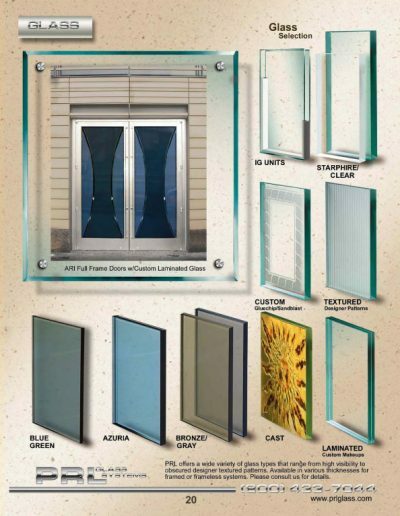 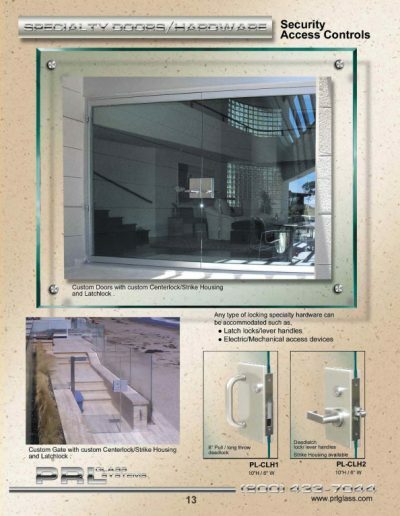 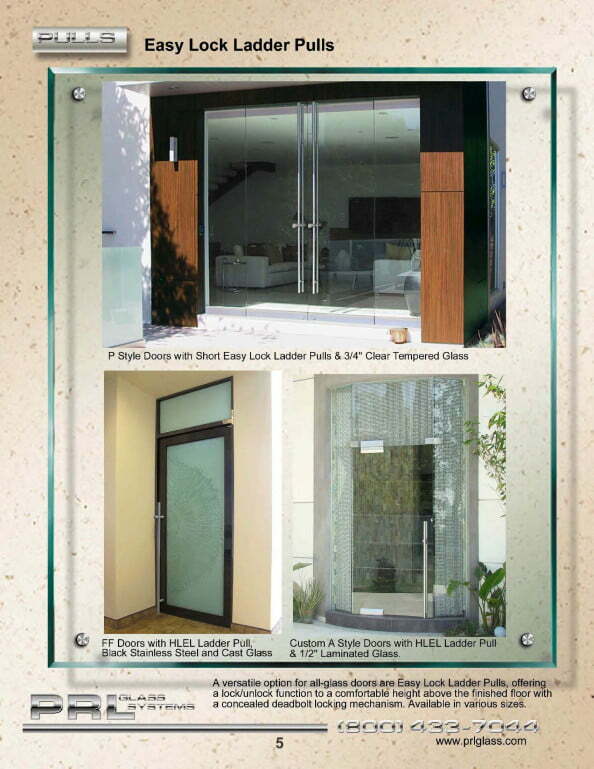 PRL Glass Dual Tone PL-LDT is 36" or 48" center to center, PL-RTDT is 4" horizontally and 24" vertically center to center and our PL-NDT is 24" x 24" center to center or we can manufacture any combination or size you require. PL-LDT, PL-RTDT & PL-NDT custom sizes are available upon request. 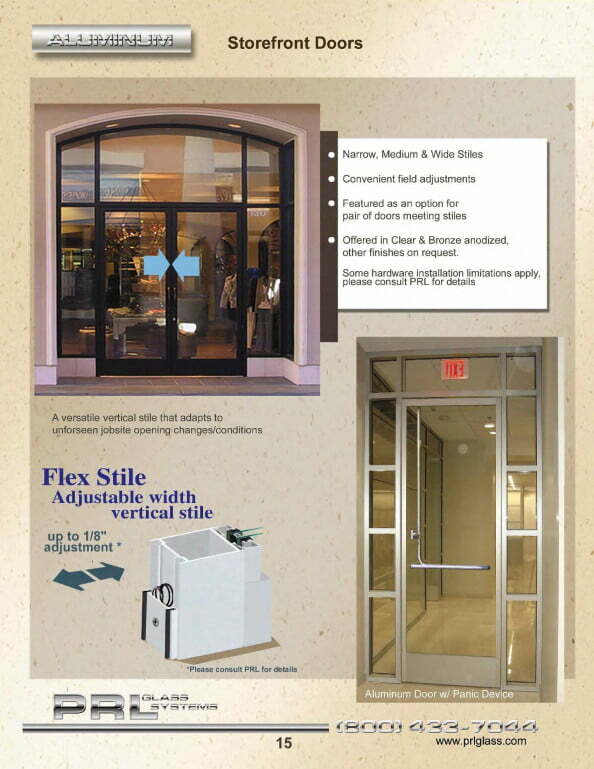 The Dual Tone Series pull handles will give any commercial door a “smart look”. 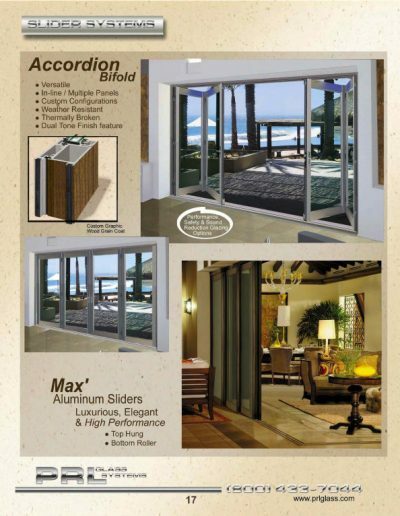 These exciting Dual Tone tubular pull handles offer a world of new options for your tempered glass or full framed doors. 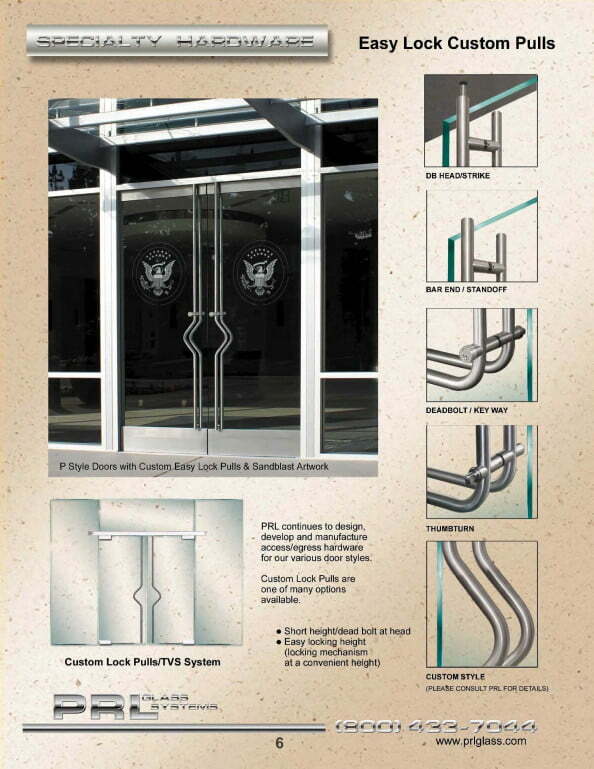 Build or design your next commercial entrance door system with the Easy-Locking Ladder Pull Handles with a Dual Tone concept in mind. 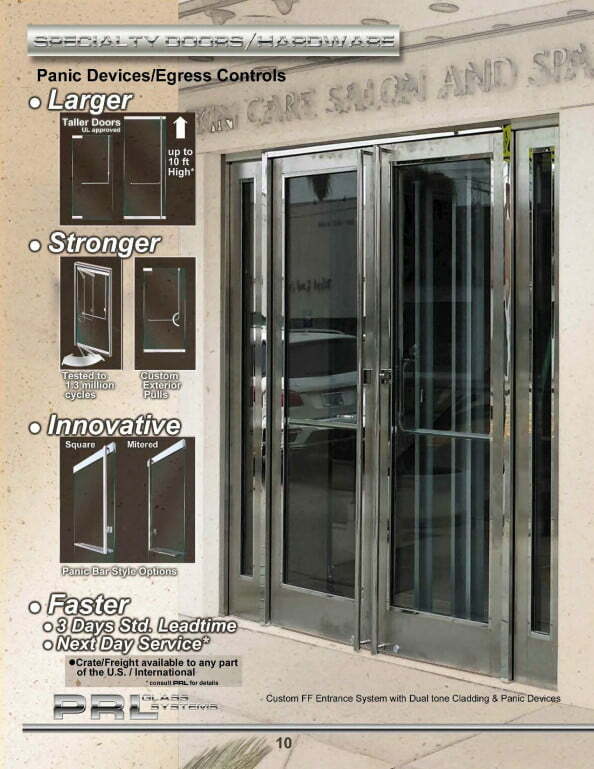 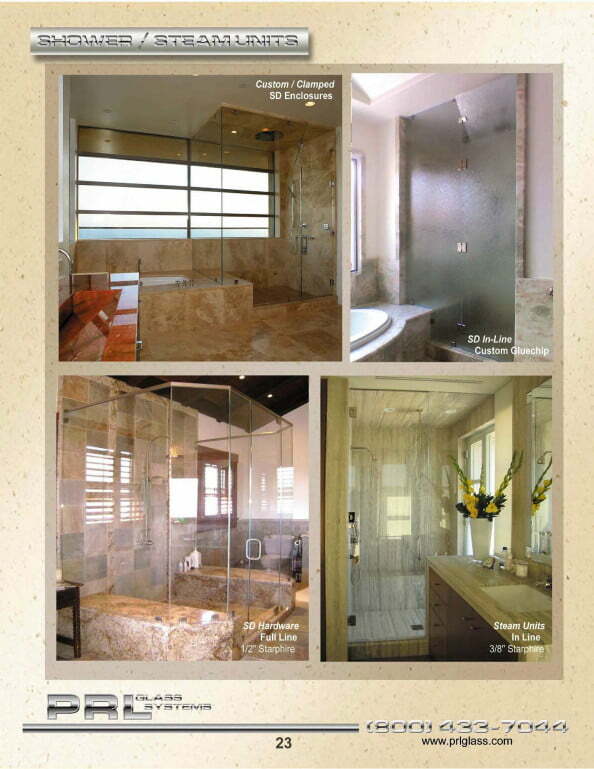 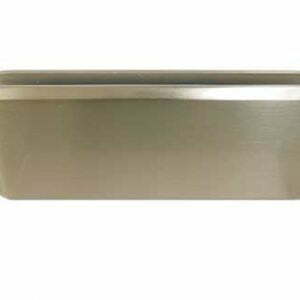 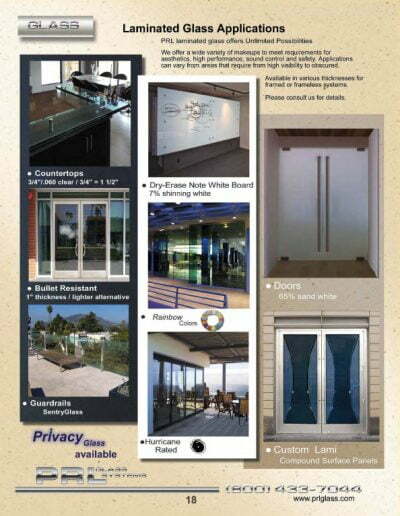 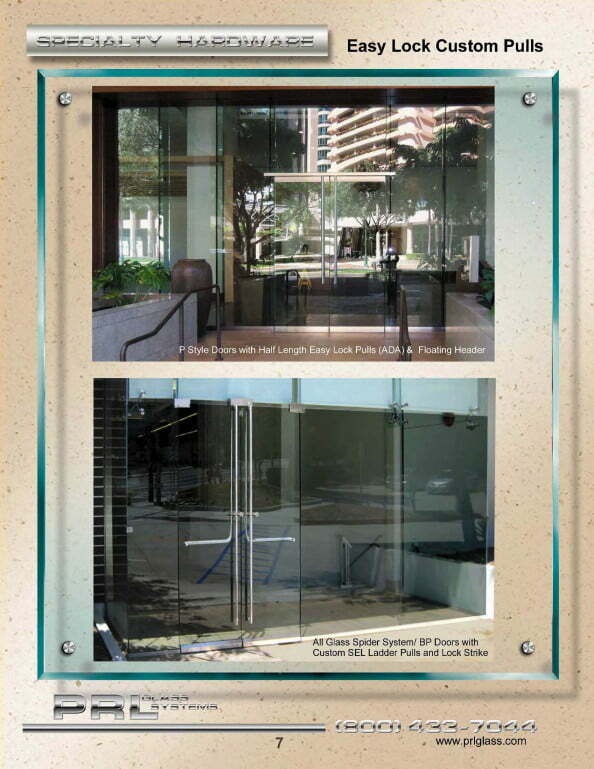 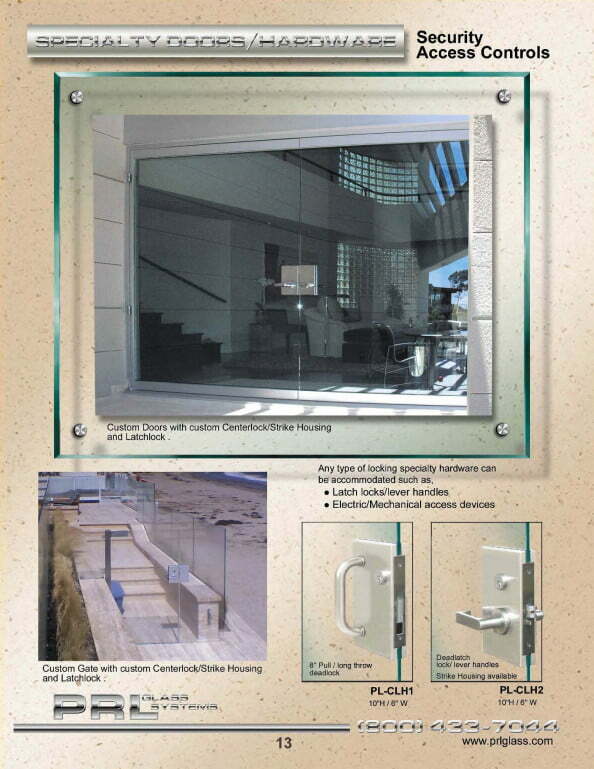 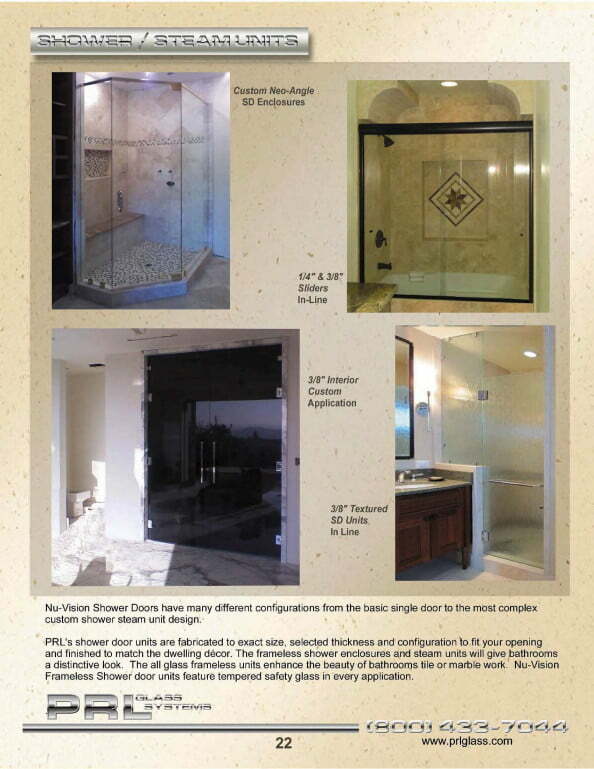 Simply supply us your handles commercial specifications and let us take care of the rest Toll Free 800-433-7044.